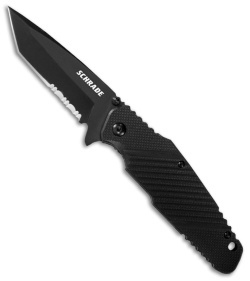 The SCH108TBS folding knife from Schrade will find a welcome place in hand with it's comfortable, ergonomic handle design. 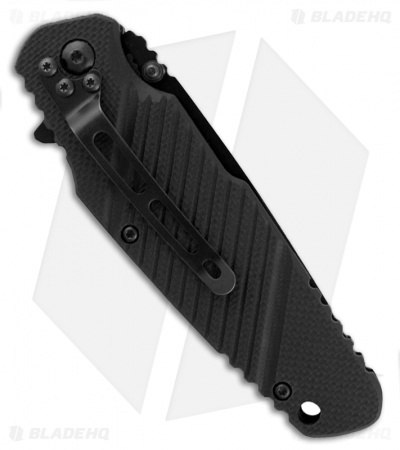 The machined black G-10 scales provides reliable grip while the steel liner lock frame gives it a solid construction for strength. The partially serrated tanto blade is black finished stainless steel with flipper or thumb stud for deployment. The SCH108TBS is ready for day-to-day tasks with a convenient tip-down carry pocket clip.